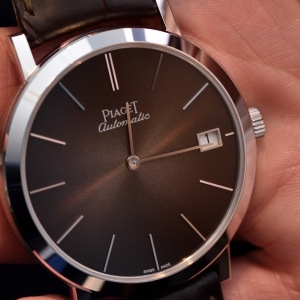 Piaget earned true recognition for its ultra-thin watch movements. In addition to artistic watch manufacturing, jewellery design also entered the company’s portfolio in the 1960s. The company is known for making no compromises in quality and precision as well as continuously striving for fine technical innovation in both jewellery design and traditional watchmaking. 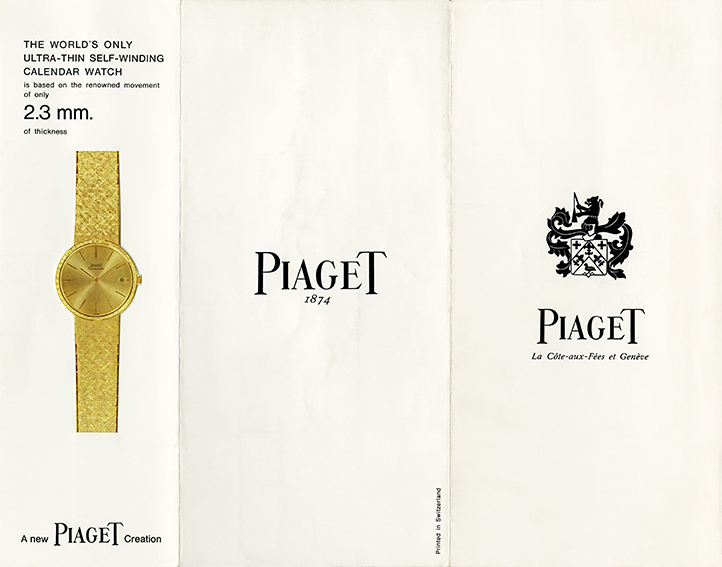 The Swiss Piaget brand was established in 1874 by Georges Piaget, in La Côte-aux-Fées, in the Swiss Neuchâtel canton. The company specialised primarily in pocket watches and high precision movements. 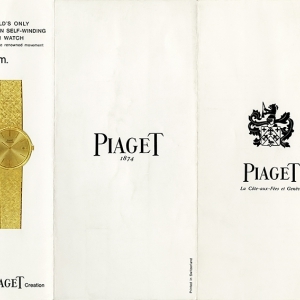 In 1911 Timothée Piaget took over the company from his father. 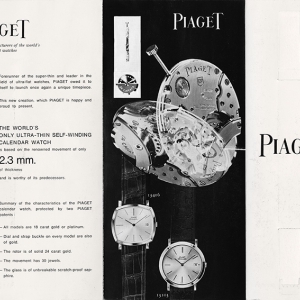 He registered the Piaget name in 1943 and started making watches under the company’s own brand. The grandchildren, Gérald and Valentin Piaget embarked on international expansion and established a new workshop as part of the capacity enlargement. 1957 is a significant year in the life of Piaget: they introduced the ultra-thin movement Calibre 9P (2mm thick) which is famous to this day. This movement was hand-wound; however a few years later they developed the Calibre 12P, which is the world’s thinnest self-winding movement (2.3mm). 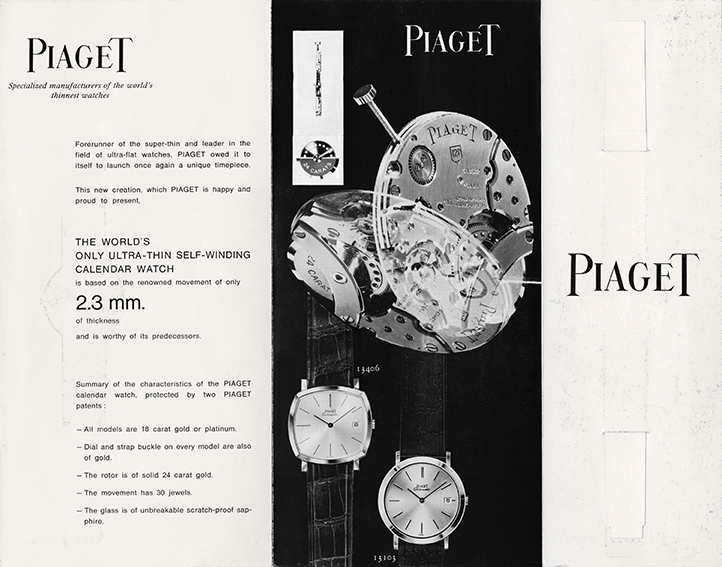 These two innovations not only showcased Piaget’s exceptional expertise but also opened new avenues in the creative design of watches too. 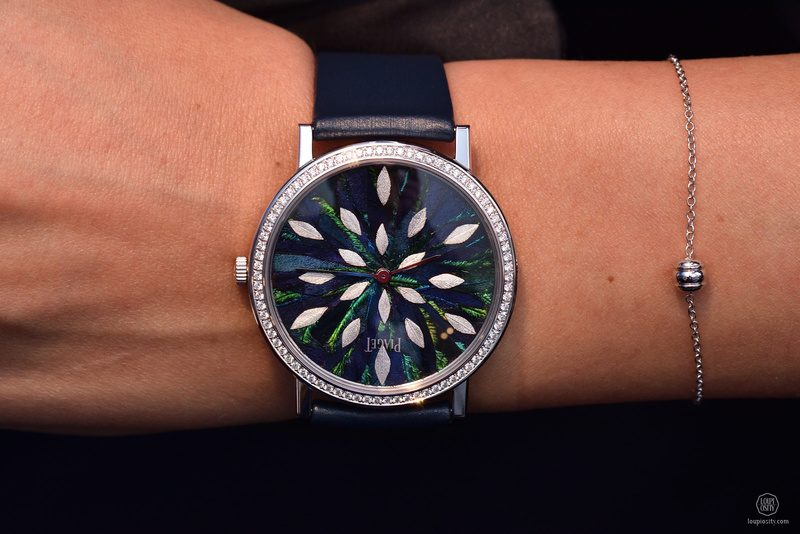 In the mid-1960s the product range expanded, Piaget embarked on the design of jewellery too, and the semi-precious stones such as lapis lazuli, onyx and turquoise appeared on their watches as well. 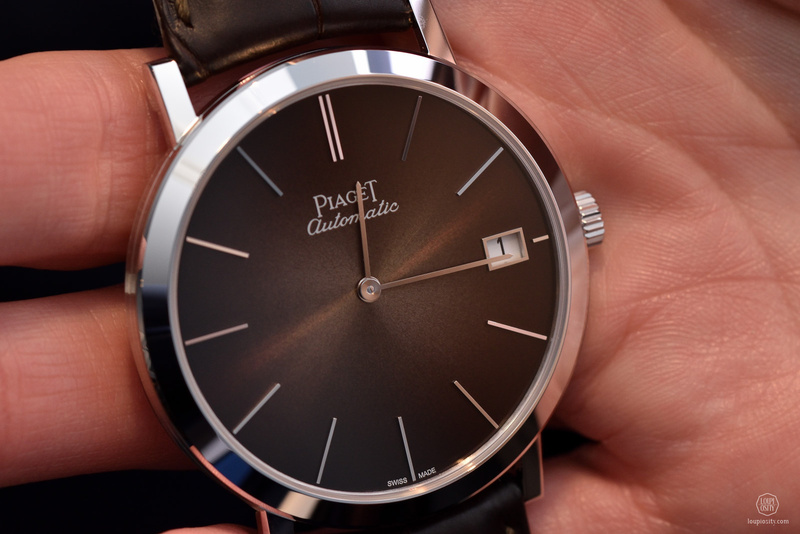 Advertised as “the watch of the international elite”, the ultra-thin Piaget model found its outstanding place in the “Piaget Society”. The name of the watch is a tribute to the Bolivian Altiplano, the world’s second-highest plateau in the central Andes, South America. From the year 2000 onwards they won several prizes with their watches and watch movements, and created the world’s thinnest tourbillon movement, the 3.5mm thick Calibre 600P. 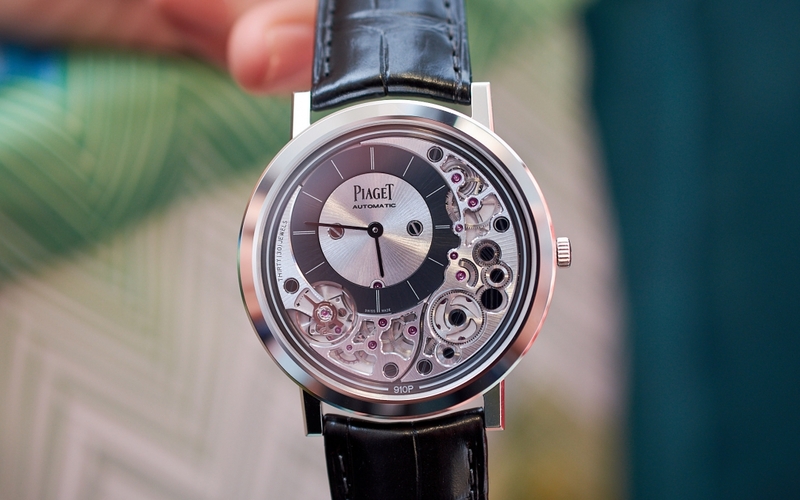 Piaget set new records in 2010 in the field of automatic movements and automatic watches. They produced skeleton versions of these movements in 2012, which truly crowned Piaget as the master of ultra-thin watches and movements. 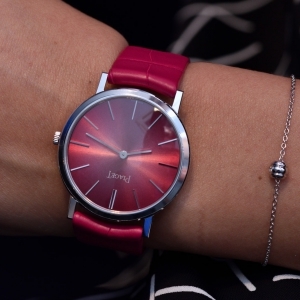 In 2014, to mark Piaget’s 140th anniversary, their watchmakers once again revolutionised the ultra-thin world by presenting the Altiplano 38 mm 900P. 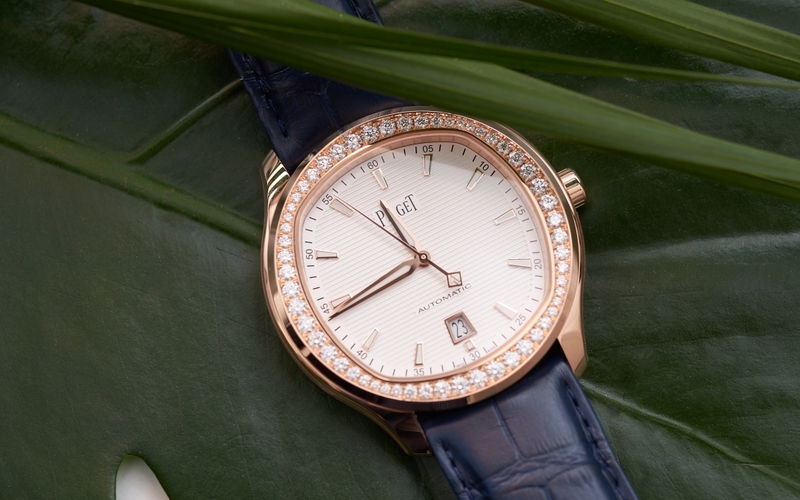 Last year the brand presented the amazing Altiplano 900D, where not only the case and the dial are adorned with diamonds, but also parts of the movement. 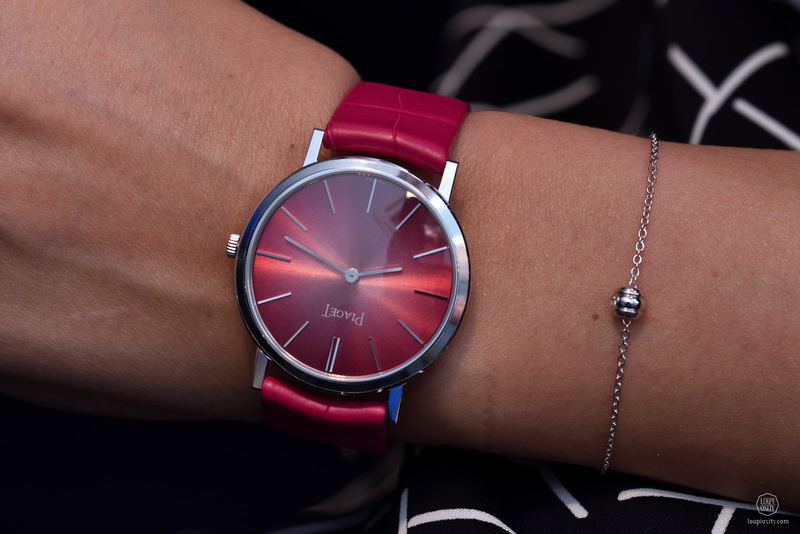 Playing with the colours and lights is very characteristic of Piaget. The anniversary editions are all limited editions and come in white and pink gold with beautiful dials, such as blue, patinated grey, green and vivid pink. 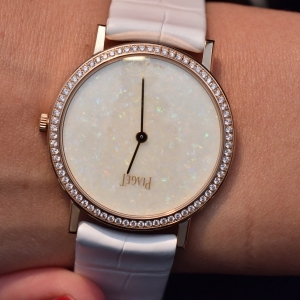 Piaget uses interesting hardstones also on its jewellery cuff watches (for example great pieces from the 60’s or in the “Extremely Piaget collection) and now on two 38 piece limited editions – one with a natural turquoise dial with white gold case and another with a white opal dial in pink gold; both are set with 72 diamonds. 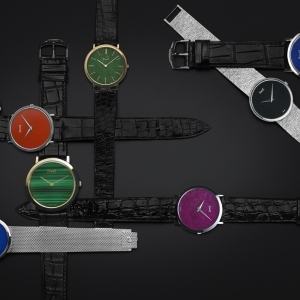 Altiplano offers a great canvas to showcase the outstanding artistic skills of Piaget. After the Piaget Rose creations in wood marquetry and with a hand-engraved pink gold dial, the Manufacture has worked with two new artisans. Sara Bran is a self-taught artisan from France, specialised in lace making on gold. She let herself be inspired by the aristocratic lacework housed in the Decorative Arts Museum of the Foundation Ricardo do Espirito Santo Silva in Portugal. 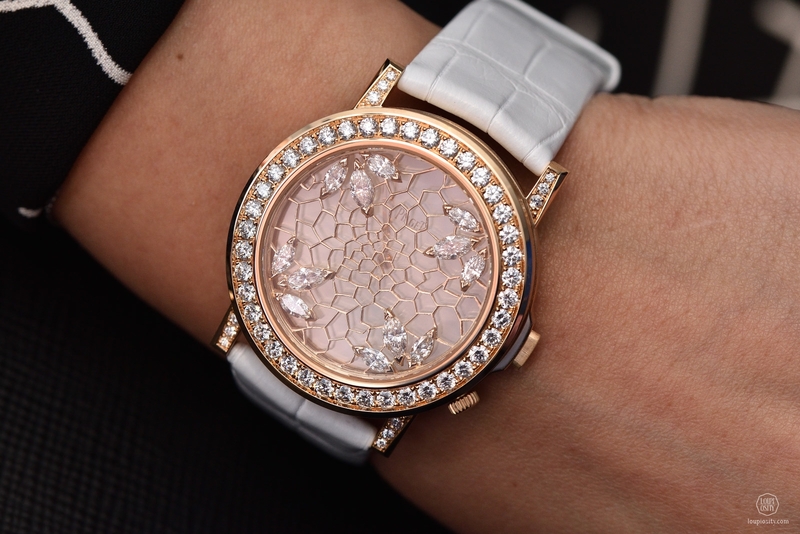 On the lid of the Altiplano Double Jeu timepiece she evokes the delicate lightness and elegance of lace, enhanced by marquise-cut diamonds. Sara uses a special scribing tool and a compass to trace the motifs and the technique of the manual “drilling” with a small hacksaw. The process requires steady hands, patience and countless hours at the workbench. 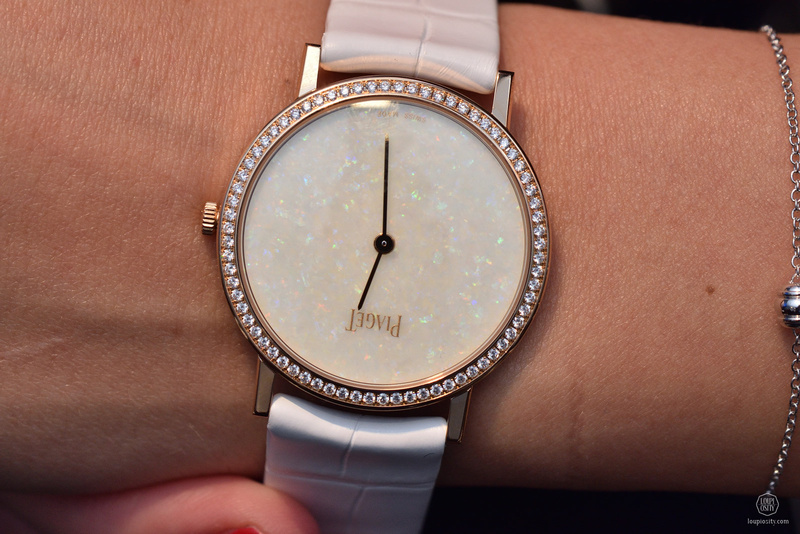 The timepiece houses the hand-wound 430P movement. Piaget masters the feather art also on jewellery and watches, recently in the Sunny Side of Life high jewellery collection. 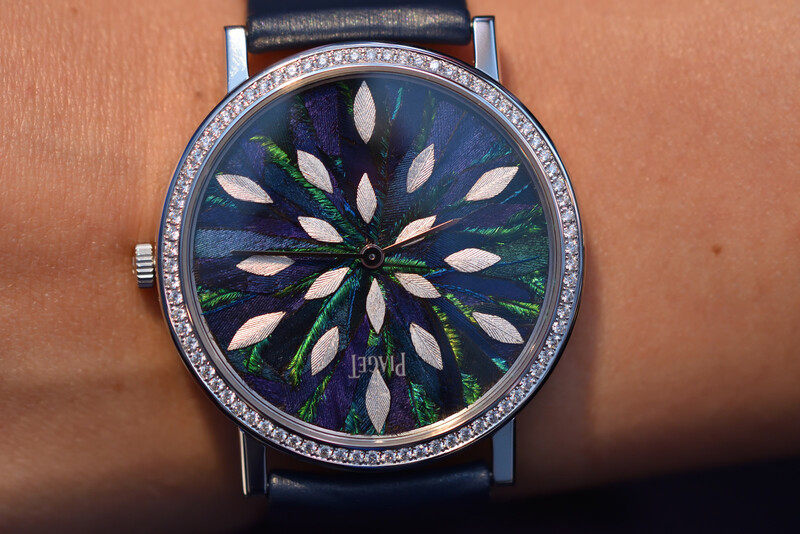 At SIHH 2017 the Feather Art Altiplano was presented, created by Émilie Moutard-Martin. This young woman belongs to an exclusive circle of feather artists in France. She is fascinated by fashion and was also trained as a milliner. In 2012, having mastered the techniques of feather art, Émilie opened her atelier for her unique creations. The dial of the Feather Art Altiplano is in a feather marquetry composed of a mixture of duck, peacock and rooster feathers, partially covered with silver leaf. The final result evokes a peacock with its blue and green plumage, a symbol of immortality, nobility and integrity. The artisan selects the feathers according to the colour, density and texture in order to create the desired pattern. The feathers have to be cleaned, then stabilised in steam. Following the imagined composition, the artist recuts and smoothes the feathers and carefully arranges them. Finally she glues the motifs onto the dial. 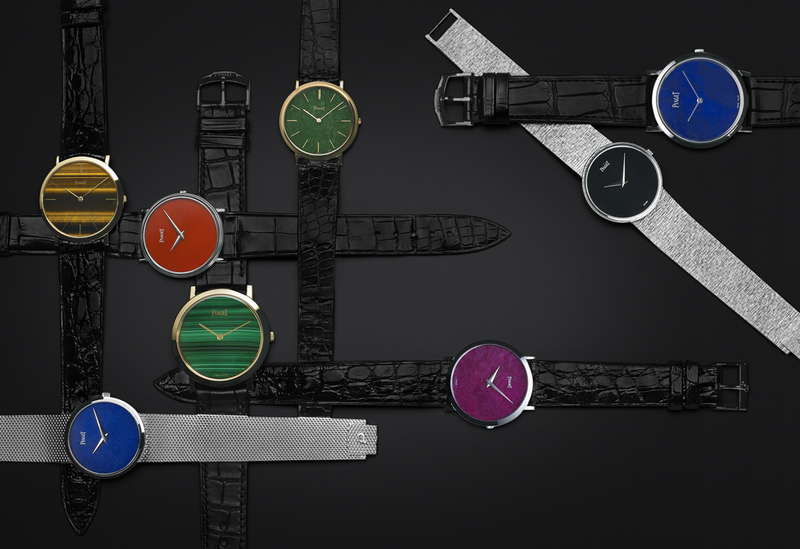 Piaget Altiplano Ultimate Piaget presented paper thin hand-wound and automatic Altiplano timepieces. We held them in hand at SIHH 2018. 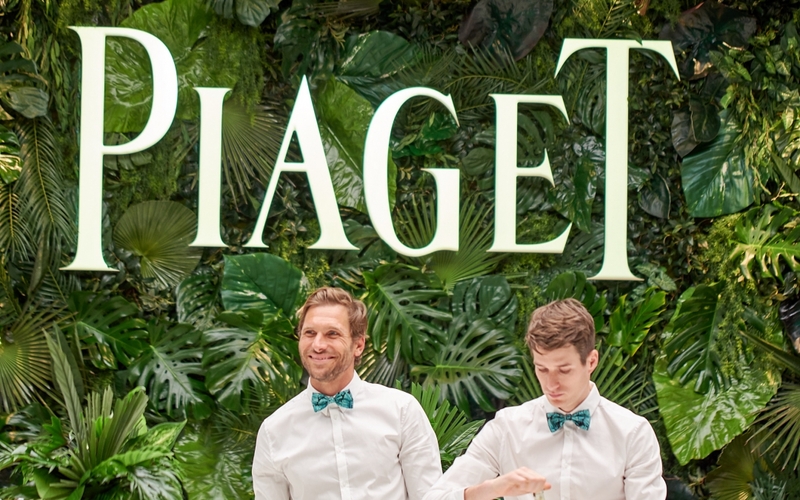 The Piaget Society – Beach Longing for the summer and the sparkle of the azure sea in cold Geneva? 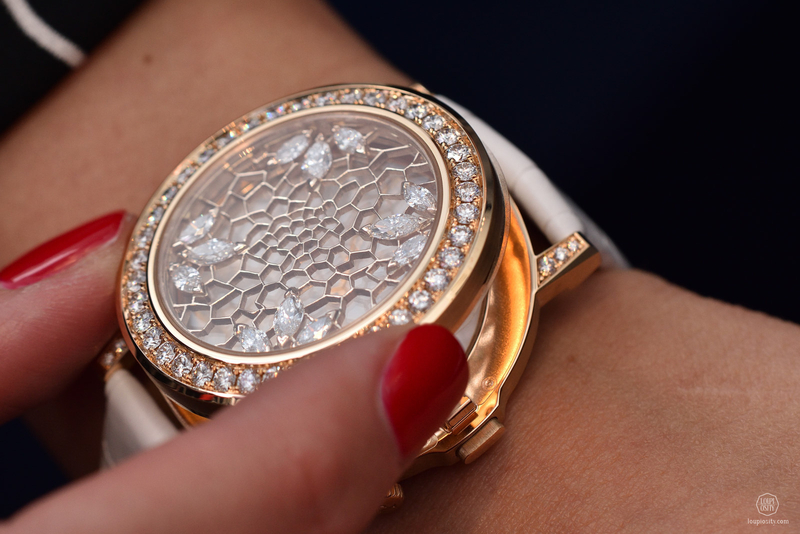 Head into the pop-up beach Piaget created at the SIHH 2019. The sand hid the novelties that the brand introduced this January.